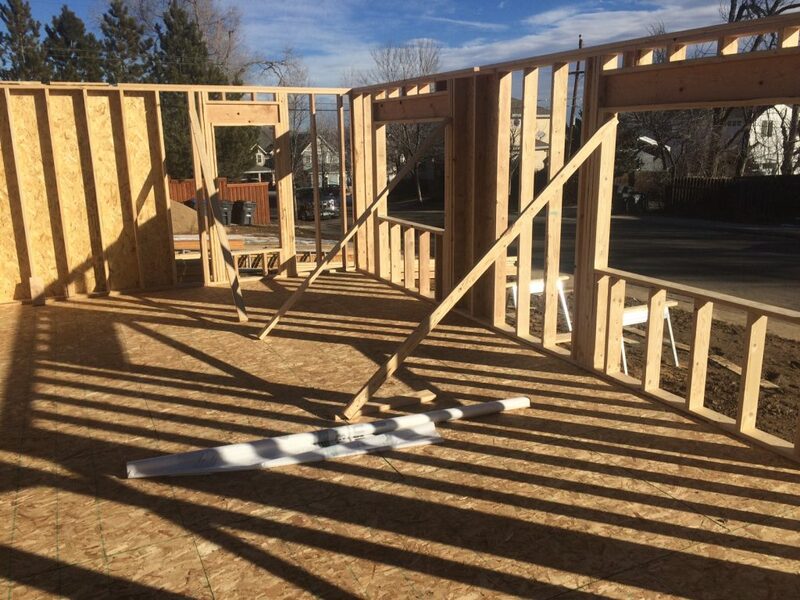 Kneebone House – 6000 Bees LLC • Homesavers, preservation contractors, consultants • Lafayette, Colo.
© 2019 6000 Bees LLC • Homesavers, preservation contractors, consultants • Lafayette, Colo.
Our current renovation project at 311 E. Oak Street in Lafayette, Colo. 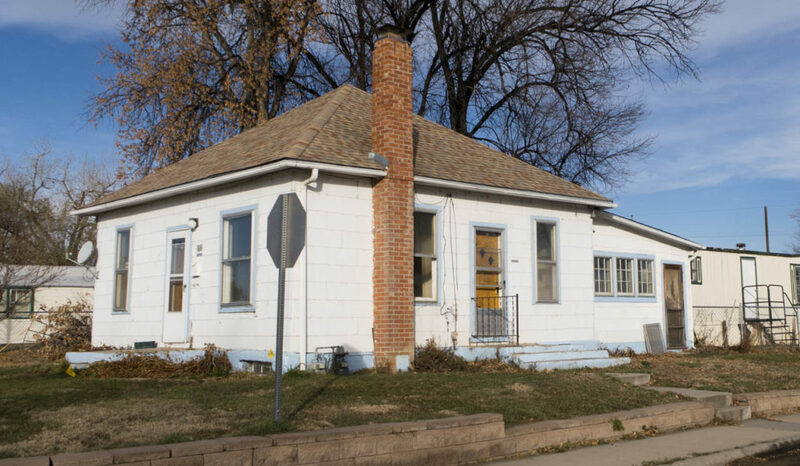 The Joseph and Lena Adele Kneebone House is located at 311 E. Oak Street and is currently owned by Klein Partners, LTD and is undergoing renovation by 6000 Bees LLC, Doug Conarroe and Dana Coffield, owners. The home was purchased from Clarence and Eleanor Kneebone in 2017. Clarence is the son of Joseph and Lena Adele Kneebone. The current property contains a 600 sq. ft. balloon-frame miner’s cottage with a hipped pyramid roof. A nonconforming, noncontributing manufactured home also on the property was demolished in Dec. 2017. The main house, built in 1908, is being preserved and renovated and an approx. 1,300 sq. 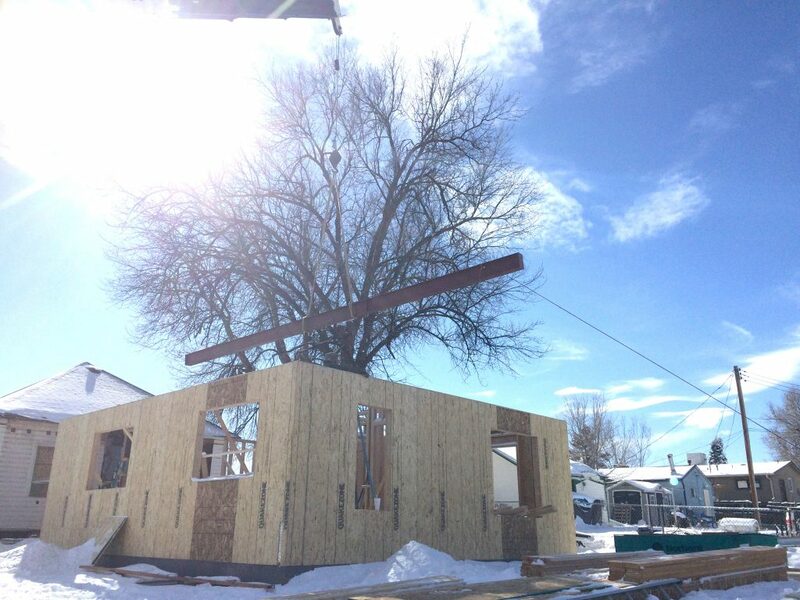 ft. 2-story addition (with a 900 sq. ft. footprint) will be constructed on the north side. Built at the Capitol Mine east of Lafayette, the home was a template for later hipped pyramid roof houses built at other coal mines and in Old Town. 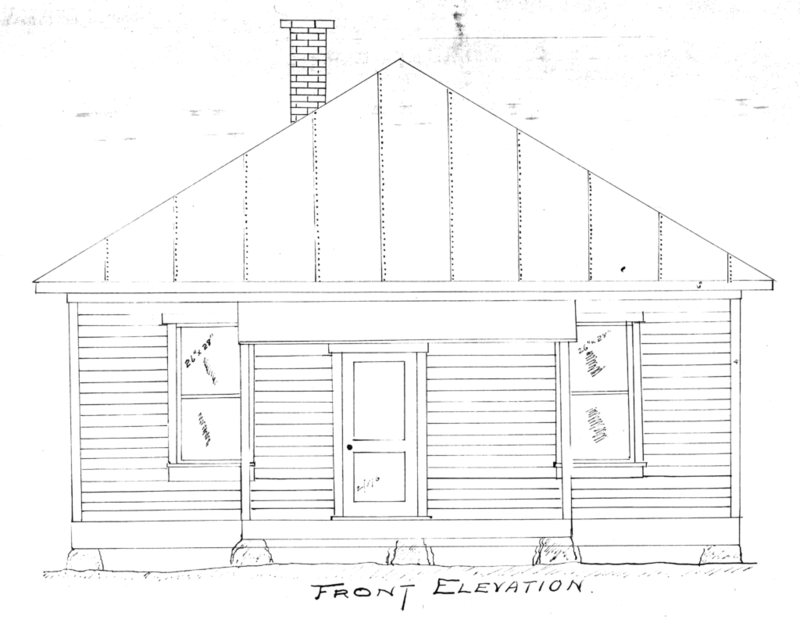 Blueprints for the home belonging to the Rocky Mountain Fuel Company were donated to the Lafayette Public Library in about 1973. Those blueprints were used as design inspiration for company housing built after 1911 at eight RM Fuel Company mines in Colorado. 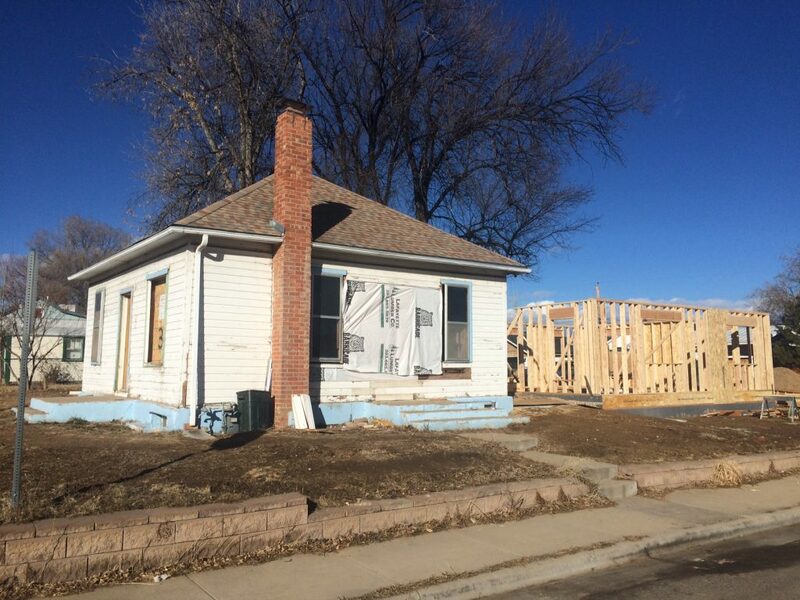 The home was moved to Oak Street from the Capitol Mine in the late 1920s. Local historian Charles “Chuck” Waneka witnessed the move as a child and said that Joseph Kneebone Sr. (1895-1947) moved the home with wagon wheels and two hitches of horses, one provide by Chuck’s father, William P. Waneka Jr. (1887-1928). Although Chuck recalls that the house went from the mine to the Kneebone Farm on 111th and then back to 311 E. Oak, Clarence said that it’s always been at 311. The structure was used at the mine as a weigh house and administrative office. The unaltered window openings on the south side are not the same size — the window on the southeast corner was larger so that mine clerks inside the weigh house could observe coal-filled wagons and trucks entering the scale. 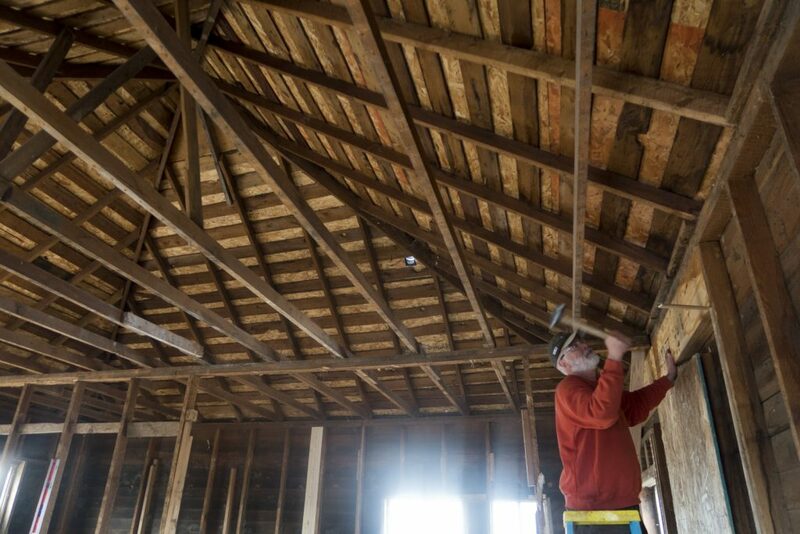 The interior walls are constructed using tongue and groove bead board, which was a cheaper building method (versus plaster and lath) and more indicative of commercial use rather than residential use. 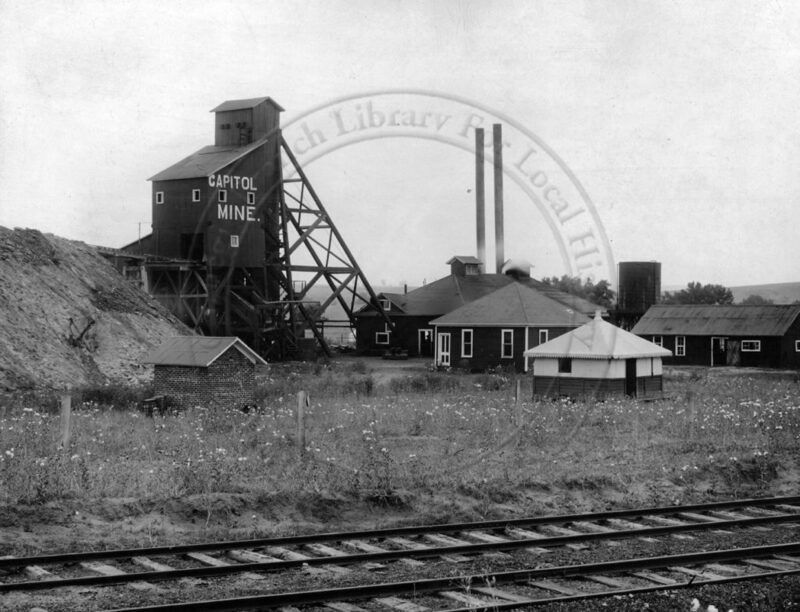 The Capitol Mine opened in 1908, which is the approximate date of construction for the house. The mine closed in 1926. A few years after it arrived at Oak Street, seven-year-old Clarence Kneebone and his siblings were tasked with excavating the basement under the house. Clarence’s father, Joseph, used a pick to hand dig the basement, and horse-powered slip scraper pulled by “Fannie” (a mare) was used to haul dirt — one Kneebone kid controlled the horse, and one steered the slip. Joseph then fashioned the current foundation from cinder block. Kneebones farmed in the northeast portion of Lafayette and operated the Kneebone Dairy. Clarence’s brother, John W. Kneebone (1921-2003), said in 1986 that the Kneebone Dairy bottled and delivered milk from 1930 to 1947. The route included Lafayette and Erie homes and area coal mines, including the Columbine and Boulder Valley mine camps. Since there was no way to refrigerate the milk, the milk delivery day started at 4 a.m. and was completed by 8 a.m. In summer, potato sacks were soaked in water and packed around the milk cans for cooling. Clarence Kneebone said in 2017 that he and his siblings were charged with milking the cows, cleaning the milk bottles for refilling, and also helped deliver the milk each day to several hundred customers. Clarence would ride the sideboard of the delivery truck up and down Lafayette streets. He’d hop off the truck and swap empty bottles for fresh milk. 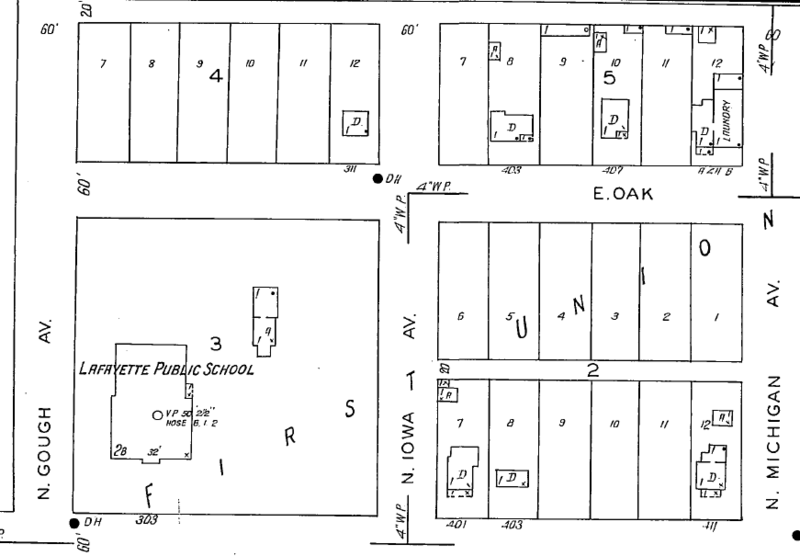 The 1937 Sanborn map showing the Kneebone house at 311 E. Oak Street, the northwest corner of N. Iowa and E. Oak. 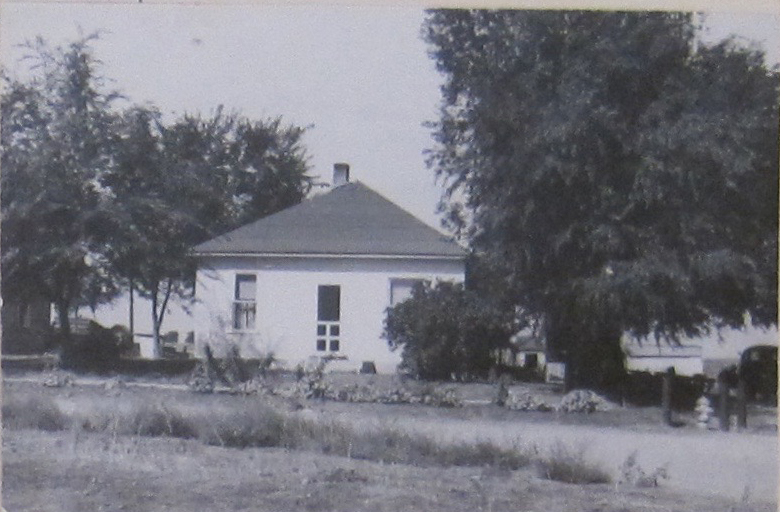 The wood frame Baseline School, which burned down in the early 1960s, is shown on the large lot to the south of the house. The early 1900s Capitol Mine Company blueprint showing the south elevation of the Kneebone House. From the Lafayette Public Library. The home at 311 E. Oak Street was moved from the Capitol Mine east of Lafayette in the late 1920s. It's the dark, four square structure to the right of the tipple. Local pioneer descendant Charles "Chuck" Waneka witnessed the move. The dark coating on the structures is actually a dark or aged shellac rather than dark paint. Photo from Boulder Historical Society/Museum of Boulder, on permanent loan to the Boulder Carnegie Library for Local History. The Joseph and Lena Adele Kneebone House, at 311 E. Oak in Lafayette, shown in 2017 before renovation. Photo courtesy Ed Kosmicki. 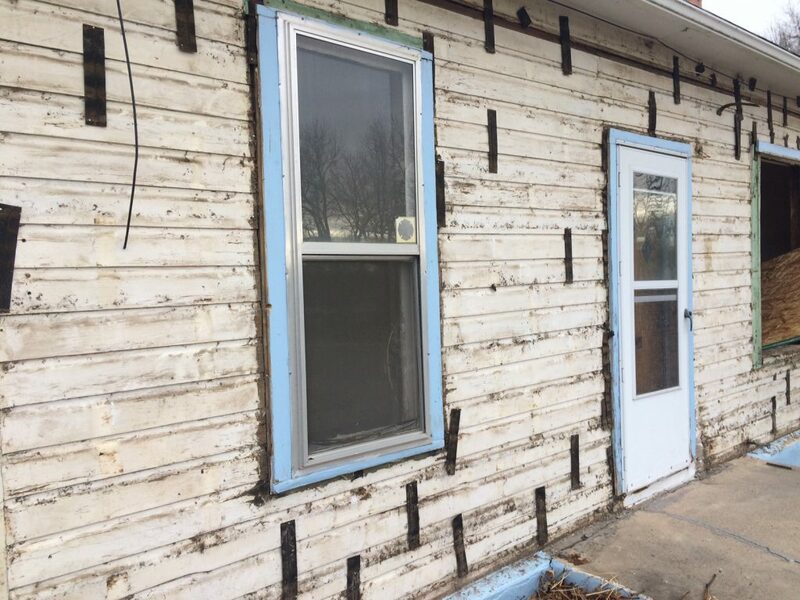 With the asbestos siding removed, the drop siding is revealed. 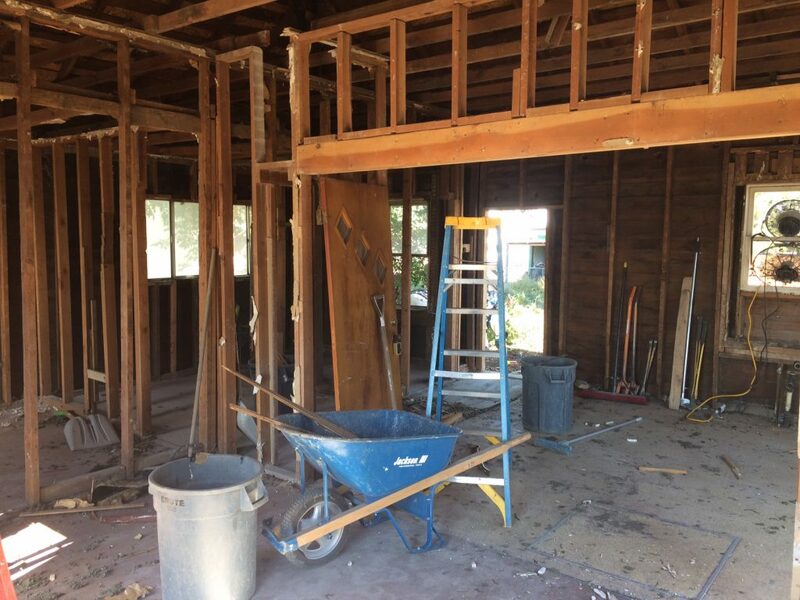 Demolition begins inside the original structure. 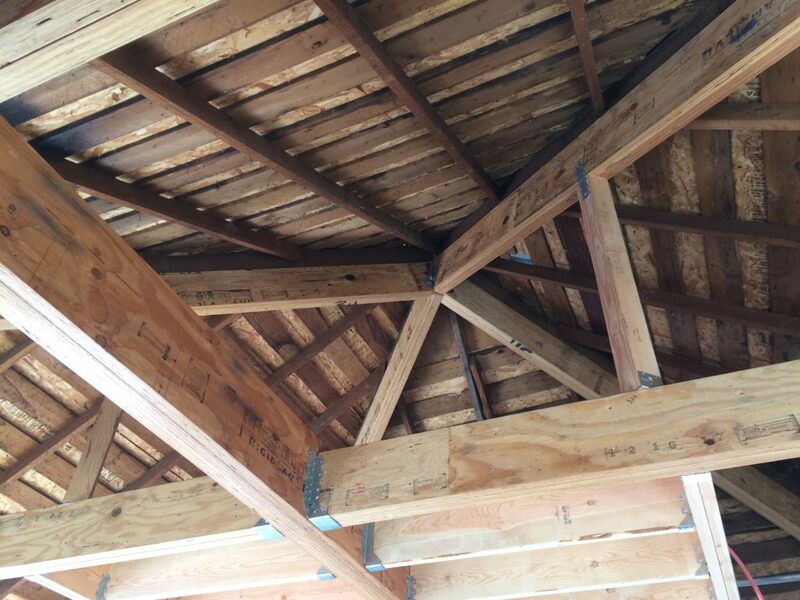 The rafters of the hipped pyramid roof are in remarkable condition. 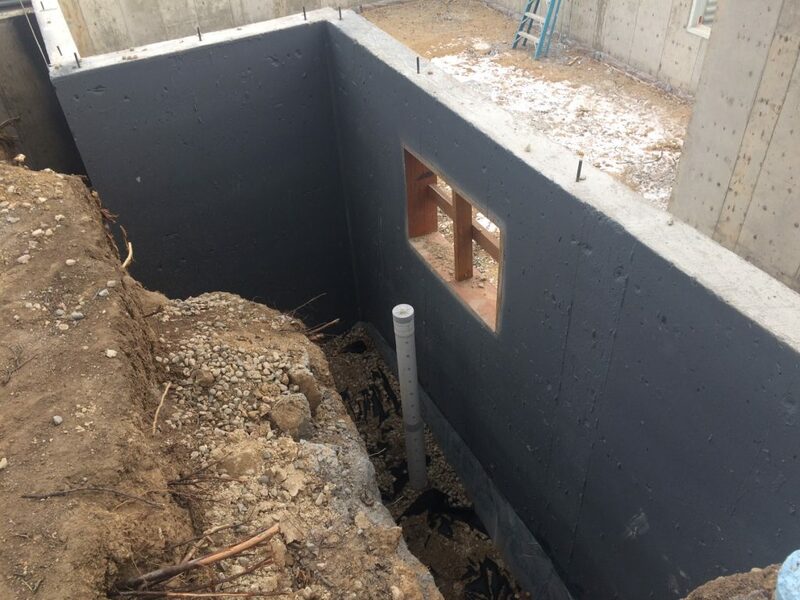 New foundation for the new addition showing the damp proofing. The rear addition takes shape. Second floor beam for the new addition gets lifted via crane. An LVL pyramid was built under the existing pyramid hipped roof. The load from the four main rafters is distributed to all walls, not just the corners of the house.